← IDL NEWS – And Tuesday Blues . 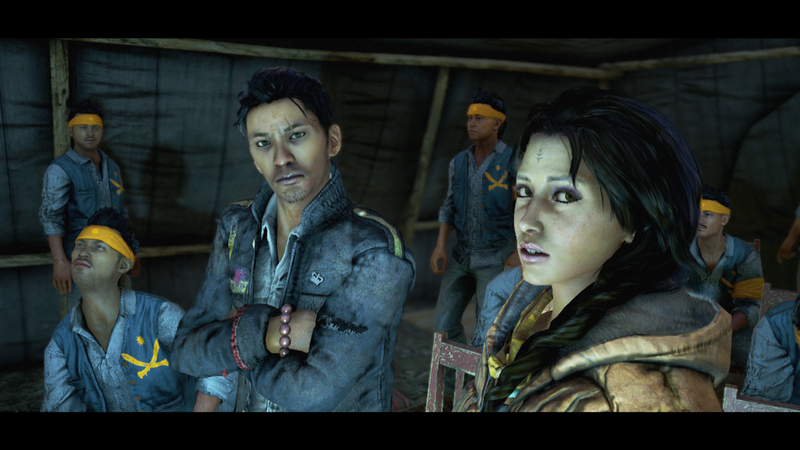 . .
Far Cry 4 stars Ajay Ghale, a young Kyrati-American returned to his birthplace to bury his Mother’s ashes. What follows is a quick introduction to the Kyrati setting: its sprawling country side, mountains, lakes, and jungle, its people and villages, before the big reveal of Pagan Min. Our caravan is unceremoniously stopped on the way to our Mother’s resting place by the Kyrat Royal Army, a routine identification stop. Things go sideways with the arrival of Pagan Min via helicopter, and we know suddenly something is not right. Speechless, we get a quick glimpse into King Min’s psychosis as he guns down his own Officers to make an impression, taking a selfie with Ajay. We’re then brusquely escorted off to Pagan’s palace and asked to dine with the Glorious Leader himself. Everything seems to be going smoothly – aside from some questionable torture-screams in the other room – but our host is interrupted and leaves, asking us to sit tight. Not wanting the game to end before it’s begun, we obviously don’t tight and instead sneak off to locate the investigation chamber, we find our Caravan Guide being painfully questioned. Enter The Golden Path Fighters stage right, and we’re suddenly whisked away again, this time from the clutches of Pagan Min, to begin our tale – The Piece of Resistance – caught dead in the middle of this Himilayan country’s civil war. Far Cry 4 at its foundation is a story of war. 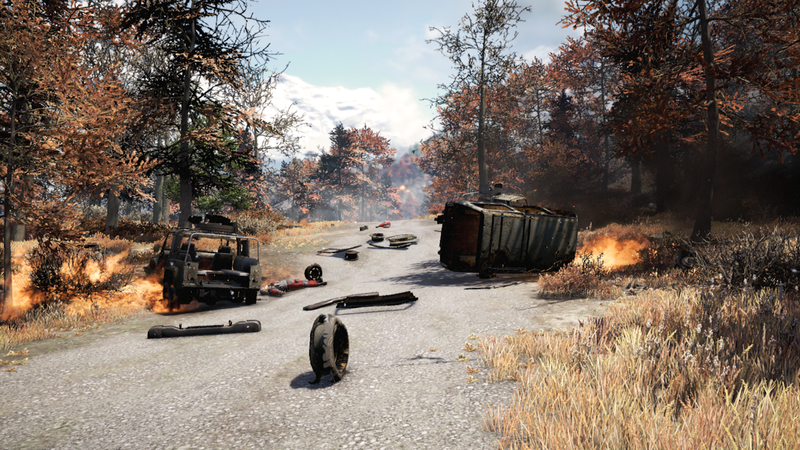 Warring factions between North and South Kyrat: the rebellious Golden Path vs. The Kyrat Royal Army under King Pagan Min’s rule. However, it also foretells of the division between the Golden Path group that Ajay has become the symbol of hope for. The main purpose behind Ajay being in Kyrat is to do right by his Mother, and lay her to rest, but The Golden Path’s rebel movement was established by Ajay’s Father, and he is therefore compelled to set things right in the land. As we start the rebellion, eliminating Min’s rule from the South Province, one outpost and communication tower at a time, we start to see the rift between the two Golden Path member develop, as one favours the traditional values and history of Kyrat, while the other argues for progress and modernization. This split path is evident throughout the entire story, as we have to make influential decisions, which will favour one side over the other, ultimately deciding the fate of Pagan Min, and The Golden Path. At the end of the story, in our final meet-up with Pagan Min, he references the start of our story, and asks why we didn’t just sit tight, await his return. Instead opting to proceed along our murderous path we currently find ourselves on. Far Cry The Fourth plays exactly like its predecessor, only with a little more verticality, as it takes place, after all, atop a Himilayan mountainous region. To help with this we’re equipped with a wing suit and grappling hook to scale some of the cliff faces. 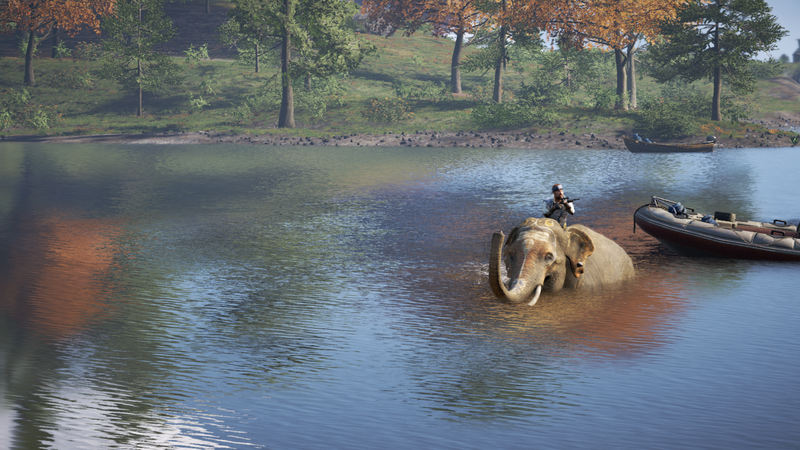 There’s more wildlife this time around with eagles, rhinos, and even ride-able elephants. The wildlife is also just as aggressive as ever. Returned are the outposts needing capturing, and the communication towers needing climbing. New this time around are the retaliation parties that will be sent to a newly acquired outpost, if it’s still within a danger region. These parties are not a force to be taken idly, and can be quite aggressive in their response. It is however, an optional task, as I did not lose any outposts to the enemy when opting to not defend, but instead driving away in search of loftier objectives. New and similar side-quests have bolstered the country’s activity list, as different types of races are available, as well as hunting missions, hostage rescue missions, bomb defusing, and supply runs litter the map. Collectibles have returned as well. New navigational options have been added as well, with new vehicle types, previously mentioned wing suit and para-glider, Elephants and a nifty gyro copter. Shooting while driving is also now an option, and with that, auto-pilot. Motion-sickness medication not included. 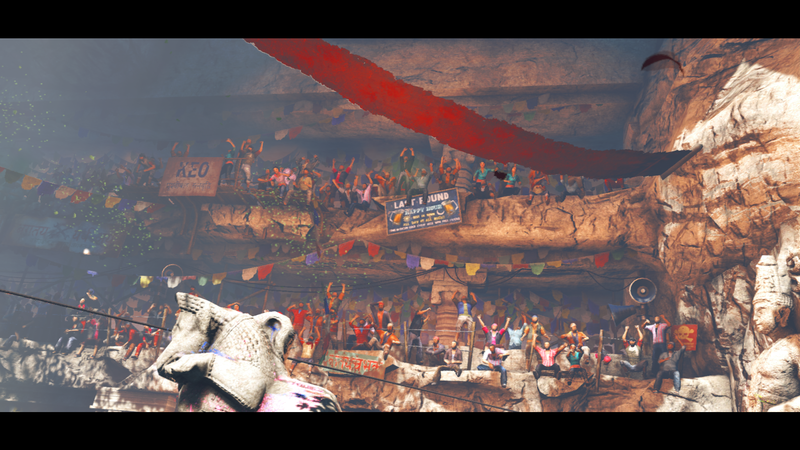 Far Cry 4 succeeds on many points, but stumbles and inevitably falls over many others. Its research and dedication to the Himilayan lands and culture are incredible, and because of this, the game is gorgeous, and beautifully realized. It also did better by the antagonist, Pagan Min and his 3 Lieutenants. Pagan Min is unfortunately kept at a distance throughout the majority of the game, relegated to informative and sarcastic radio messages, but we do kill his double at one point. The main world is a blast to explore, as well as the separated snowy mountain location and Durgesh Prison. Besides all its positive, the game is a retread of Far Cry 3 in a lot of ways. Its reliance on an eccentric, violent villain feels similar to 3’s Vaz. And the game’s heavy dependence on the drug-like hypnotic missions become a chore. It seems that the favourited Far Cry 3 marijuana farm mission was taken and spread far too thin to pad the game’s length by adding unnecessary characters and map out the chemical factory and Shangri-La missions, colourful as they may be. The game also, somehow, feels less immersive, and the story less fun. Aside from the patrolling wildlife, the landscape doesn’t feel as alive as 3 did, with its stormy jungle rainfalls. And Ajay Ghale is a pawn in this civil war, and not the tragic hero that Jason Brody was. All said, the game is still very good, good-looking, and worth playing if you liked Far Cry 3. The achievements are standard story key-mission completion, collectibles, liberating outposts and unique murdering methods involving vehicular manslaughter and Elephant jousting. The added co-op element is a fun addition, but note that the co-op’ee will not unlock anything in their own campaign. This entry was posted in Reviews and tagged Far Cry 4, Games, Gaming, Kyrat, Pagan Min, review, Video Games. Bookmark the permalink.